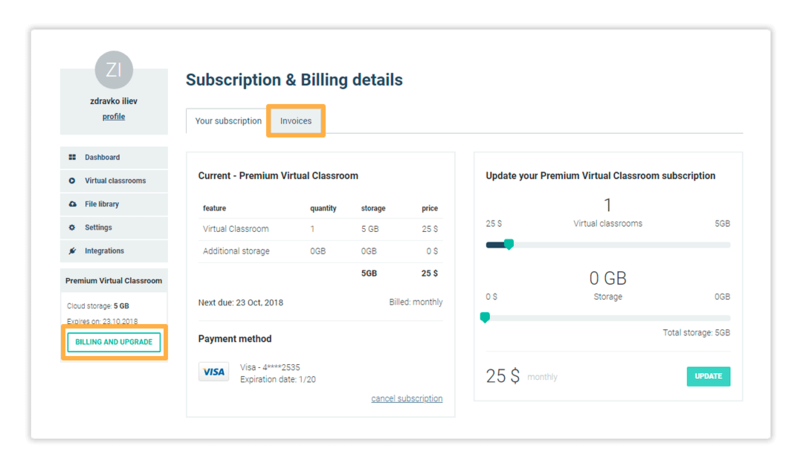 The Premium virtual classroom subscription provides multiple functionalities in addition to the free virtual classroom plan. You may invite up to 25 participants in your session. You will also gain access to the file library, where you may upload the files you need for your lessons. Furthermore, you can choose to record your sessions and download the recordings afterwards. 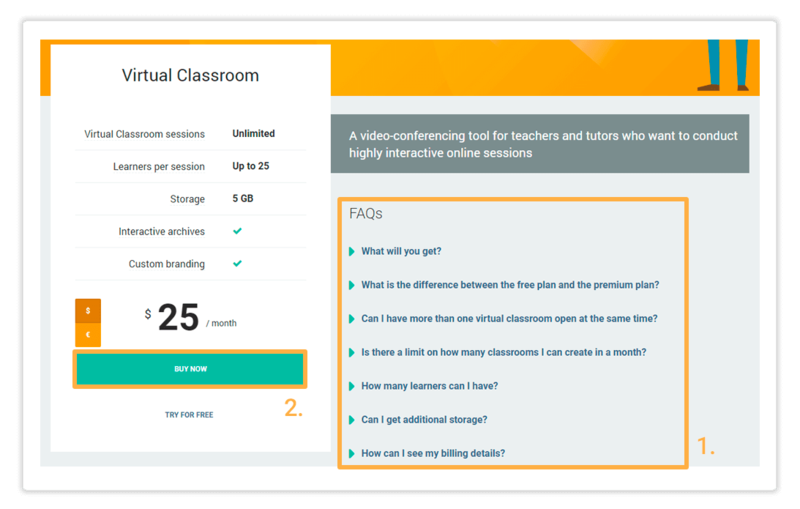 Finally, you have the option to brand your virtual classroom with a custom logo of your choice. To subscribe to the premium plan, follow the steps outlined below. 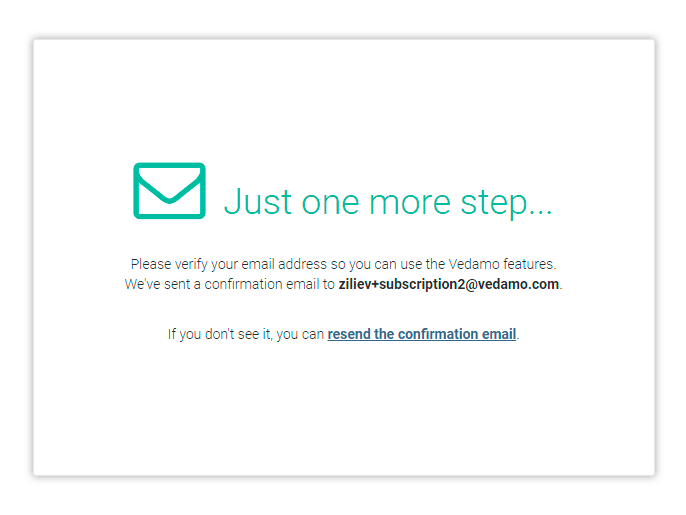 To start the process, click on the Pricing button on the Vedamo homepage. The pricing page offers detailed FAQs (1), which you should read to get an idea of what you are purchasing and the features the premium subscription package provides. Click on the Buy Now button (2) to start the subscription process. Fill in your Account information (1) in order to create your account. 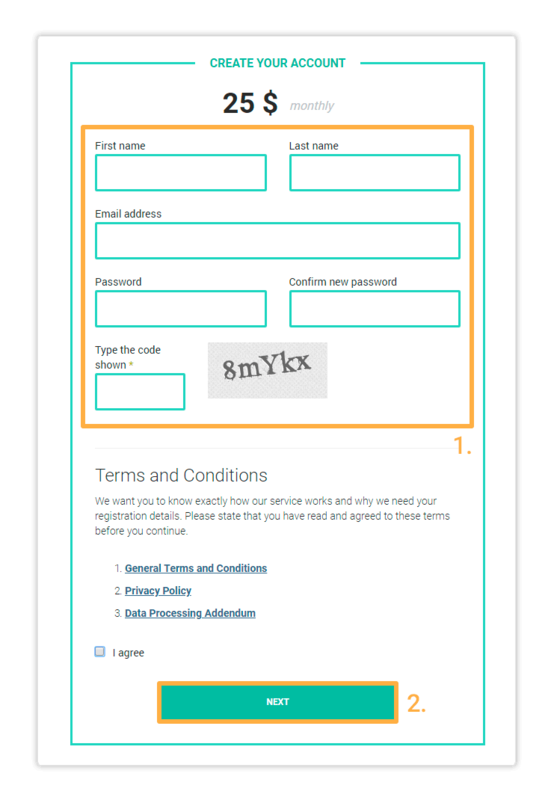 All fields need to be filled in in order to proceed with the registration. The blue link will let you read the terms of usage of our website and services. Please familiarise yourself with those before registering. Click on the NEXT button (1) when ready to proceed to the next step. On the next page, fill in your City (1) and Billing address (2). The Order summary section of the page (3) gives you a breakdown of the price. You can tick the Add company details box (4) in case you need to include company details for your invoice. Finally, click on COMPLETE PURCHASE to move to the purchase page and enter your card details. 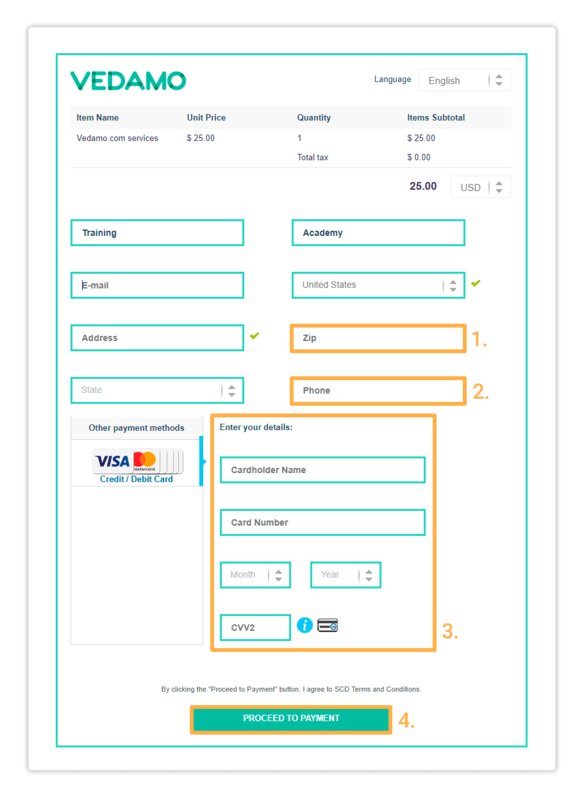 Under the Enter your details section (3), you will need to enter the required details for your payment method of choice (Credit/Debit card). Once done, click on CONTINUE to process the payment. Once the payment has been processed, you will arrive at a success page. 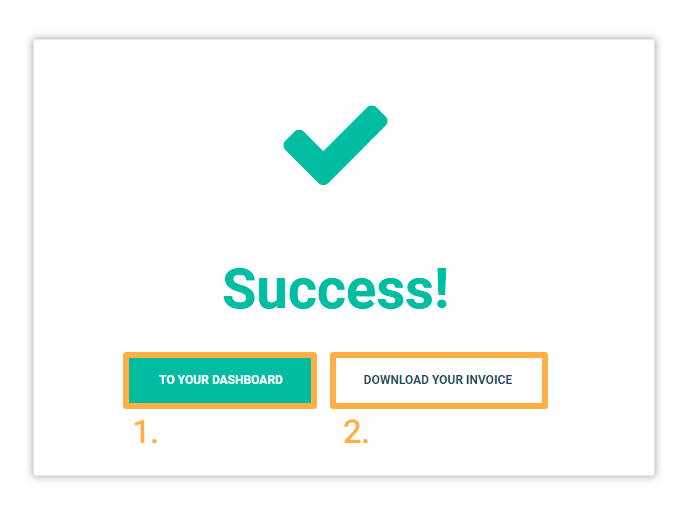 Here you can get the invoice for your payment through the DOWNLOAD YOUR INVOICE (1) button. 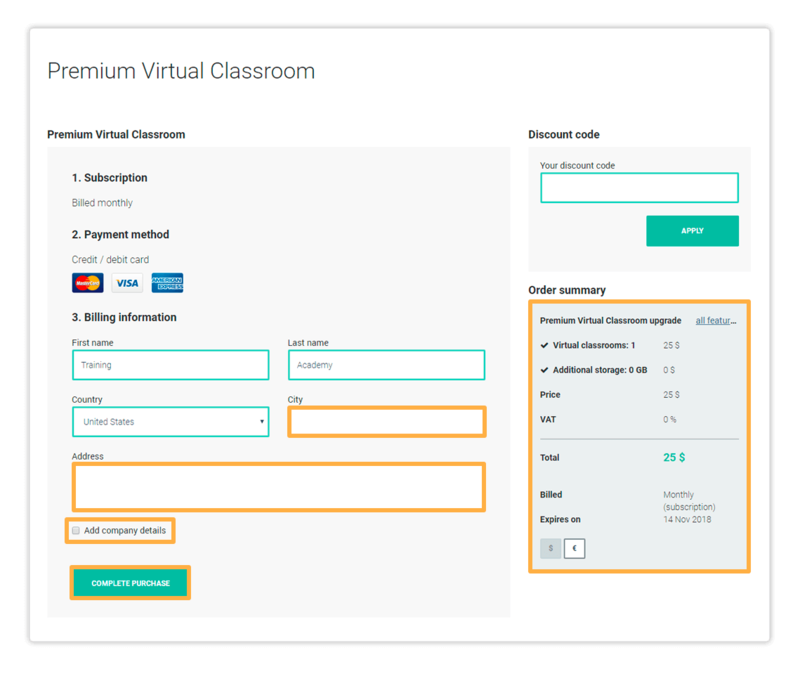 virtual classroom subscription: You can also download your invoice later from your account. Once ready you can click on TO YOUR DASHBOARD button (2) and the system will send an email to your email address. Click on the link in the email. The email should arrive within a couple of minutes. If you don’t find it in your Inbox, please check your Spam folder. 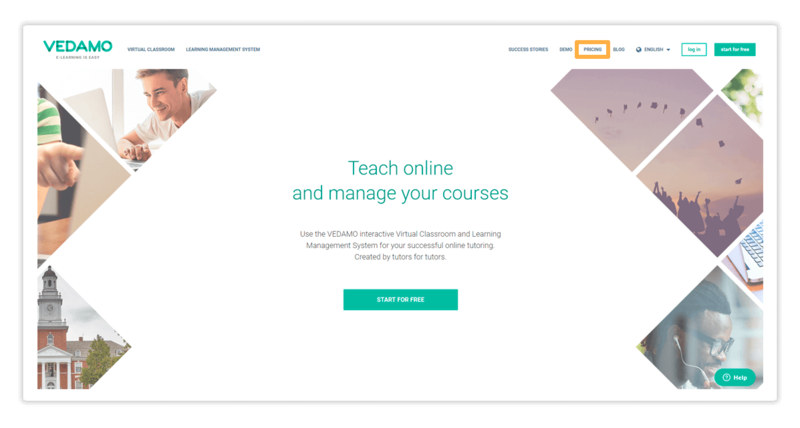 This will confirm your email and direct you to your newly created Virtual Classroom account. You can access your Invoices at any point by going to the Billing and Upgrade menu and then clicking on the Invoices tab.